Help us build a new Livestock Barn!! 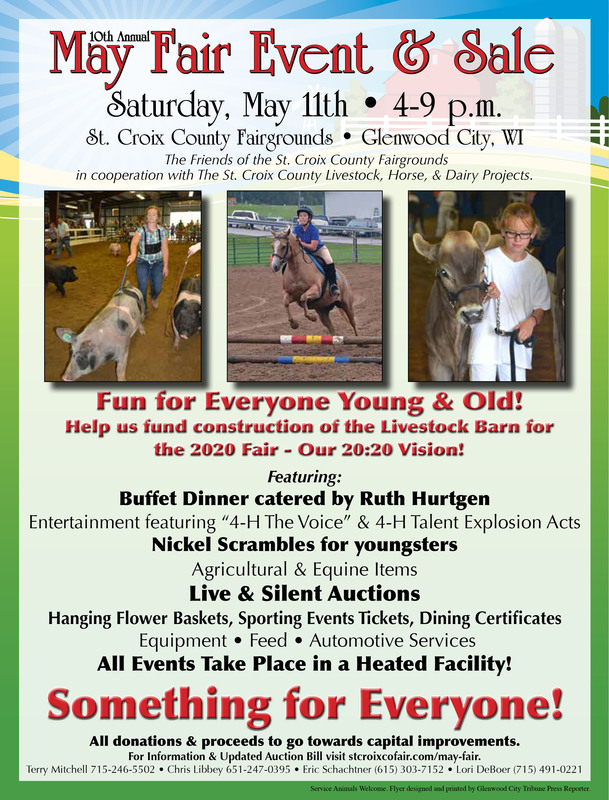 For more information call Terry Mitchell (715) 246-5502, Chris Libby (651) 247-0395 or any St. Croix County Friends of the Fairgrounds board member. Click here for a jpg version of the 2019 May Fair Flyer. 2019 May Fair Auction Bill AVAILABLE May 1!